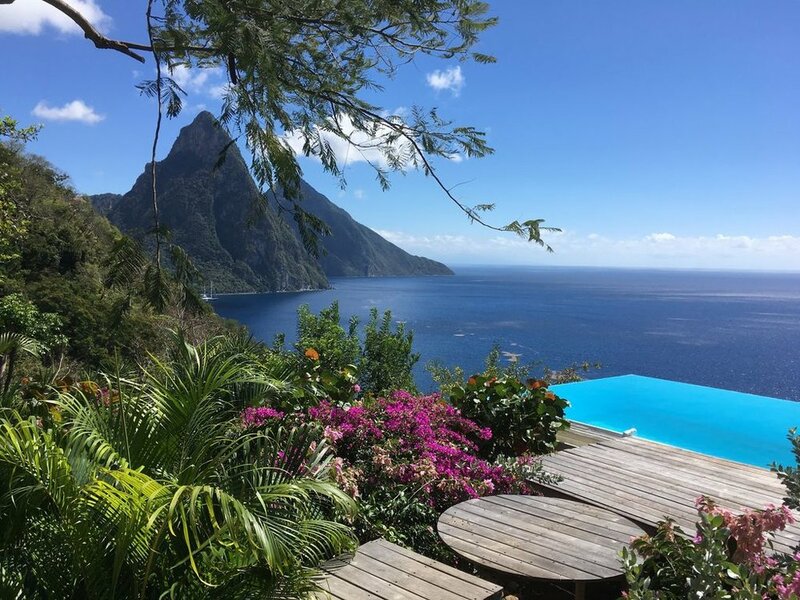 Located in the West Indies, Saint Lucia is home to the postcard-perfect Petit and Gros Pitons, a UNESCO World Heritage Site. With the dry months lasting from December through May, there will be plenty of sunshine for poolside yoga, crystal clear waters for diving and warm sandy beaches for lounging. Fun Fact: Jax loves the island SO much, she even named her puppy Lucia (Lucy for short) after visiting for the first time in 2016. The view from our retreat space. Petit Piton in the front and Gros Piton (the one we’ll be climbing) in the back. 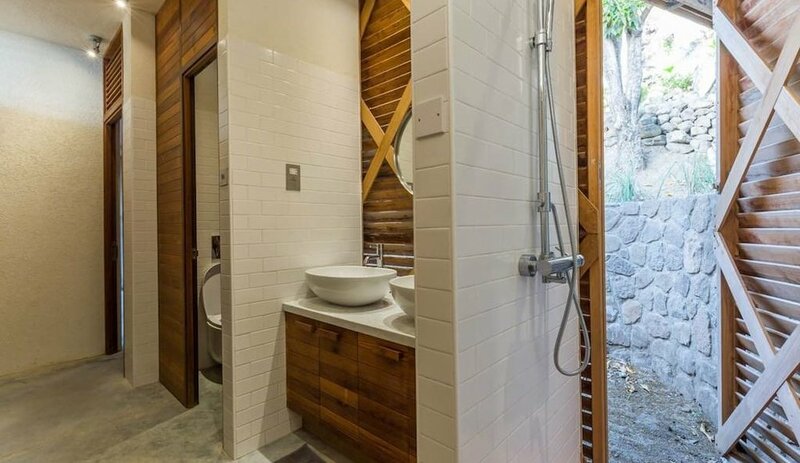 Cosmos is perched just around the corner from Soufrière, a French colonial town booming with local culture. 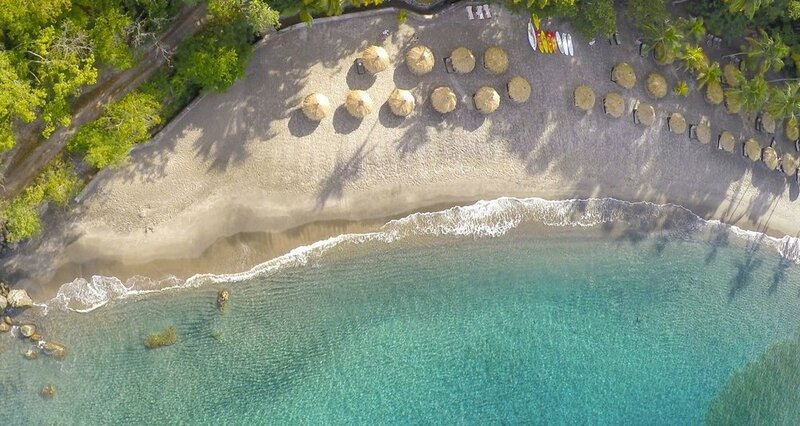 No bad days at Cosmos Saint Lucia. 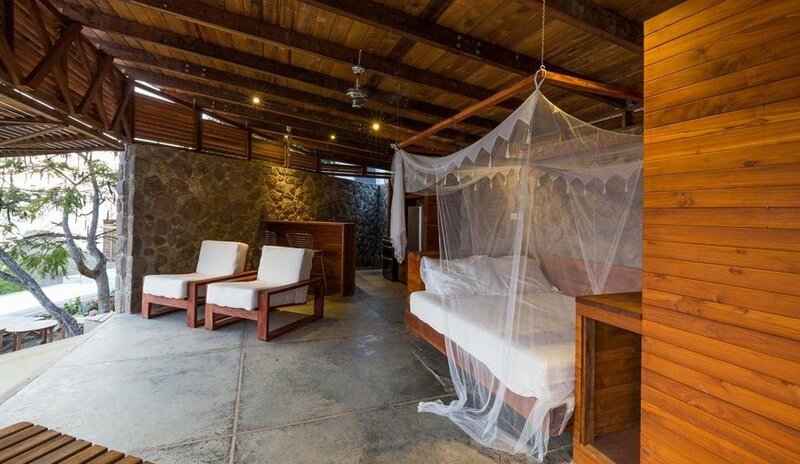 Whether you're traveling solo, with a lover or a group of friends... there's a slice of paradise waiting for you. King Bedroom with breathtaking ocean views. A porthole view of the swimming pool redefines “bringing the outdoors in.” Accommodates two guests. - SOLD OUT. 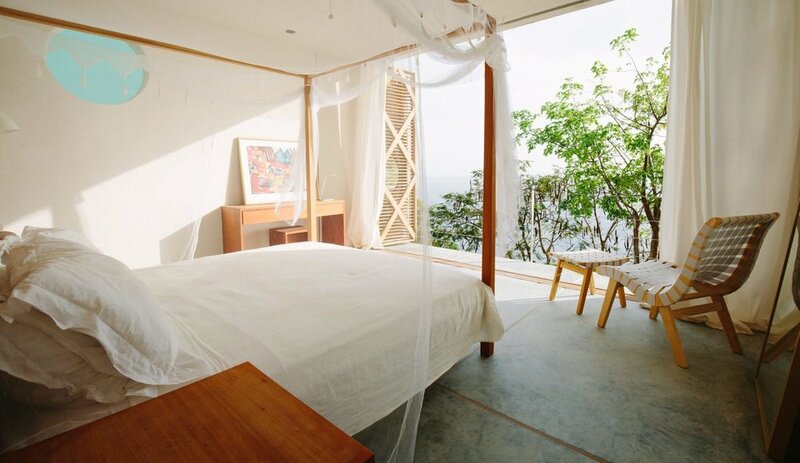 Another king-sized bedroom with yet another spectacular view of Caribbean blue. Teak louvered doors open up to your own private overlook. Accommodates two guests - SOLD OUT. Wake up to a botanical oasis in this queen bedroom. Then hop in the garden plunge pool after a day at the beach. Accommodates two guests. - SOLD OUT. 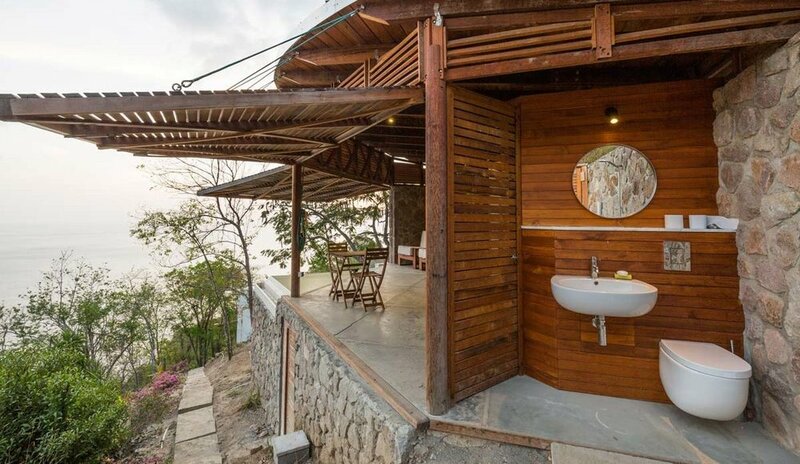 Enjoy an ocean view from your whimsical retreat. Perfect for friends or the solo traveler - $1,850/person. Two of this room type available. - ONE BED LEFT. Just a half mile down the road is this picture perfect beach. 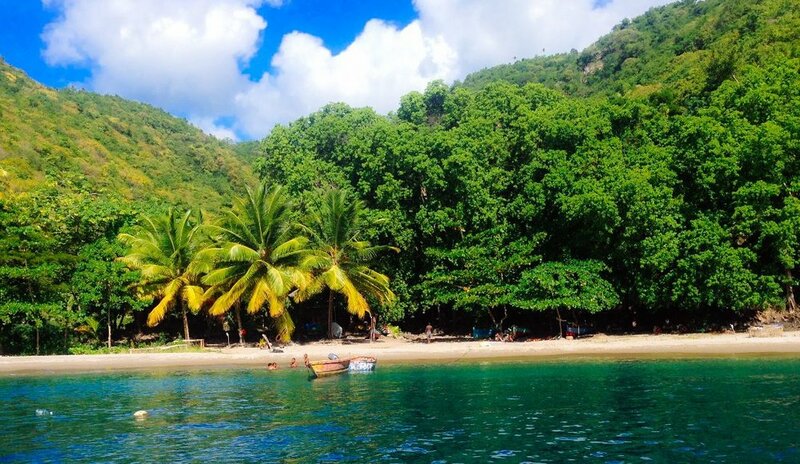 Palapas, a beach bar, and incredible reefs… it truly doesn’t get better than this. Piña colada, anyone? 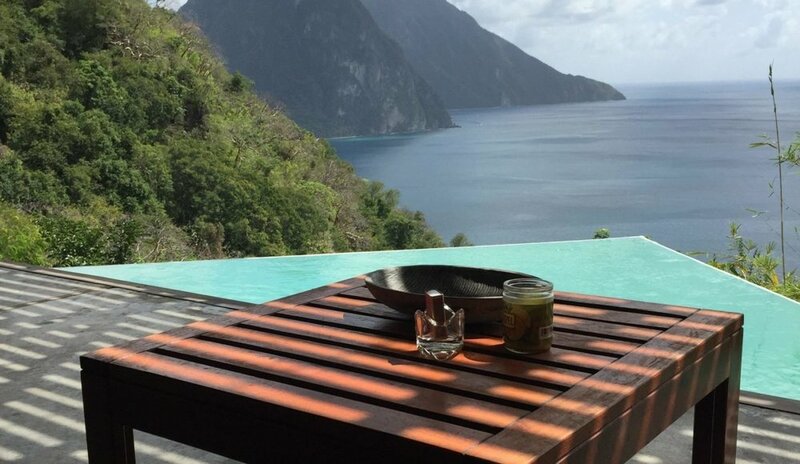 Vinyasa, Yin, and Hatha styles of yoga with a priceless view of the Pitons. Pair that with daily meditation and a tropical breeze and you’ve got yourself a one way ticket to Nirvana. 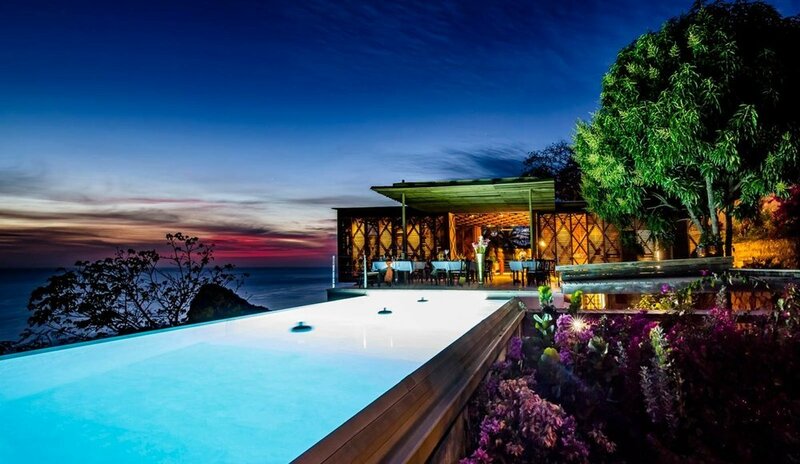 Reflecting the island’s infinite beauty is your exclusive infinity pool. Read a book, sunbathe, and unwind with two photogenic volcanic spires in the distance. Cosmos makes it easy to live life on the edge. Fuel your adventures with fresh vegetarian meals, prepared by our very own local chef. Leave the retreat feeling healthier than ever, while still indulging in the abundant flavors of the island. The only meal not included as we don’t want to limit your culinary experience. Preview their absolutely insane menu here. And don’t worry, we’ve taste tested here before. It passed. We’re taking our vibrations higher with this 2,200 ft climb to the top of the Gros Piton. 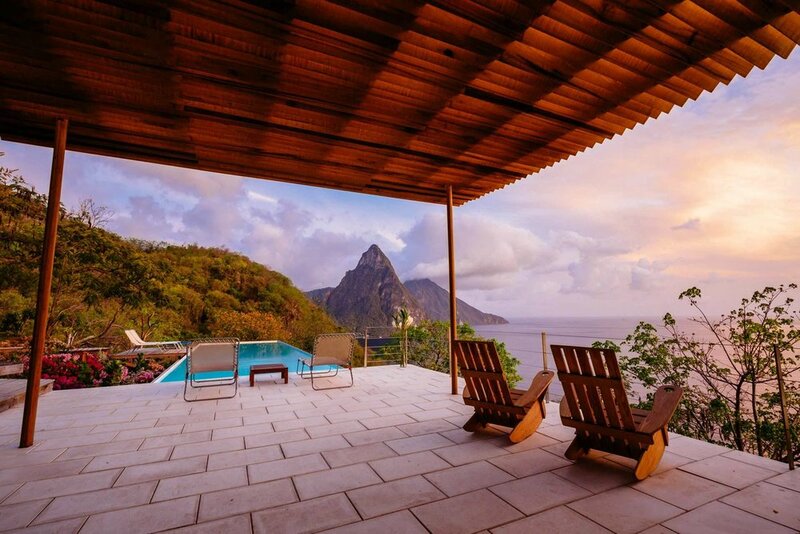 We’ll soak in spectacular views of the Petit Piton on our way to the summit. Must be in good physical condition to participate as the trail is steep and rocky. Drift into the horizon with a relaxing catamaran cruise. Inhale the ocean air, exhale with the Caribbean breeze. All smiles as we sail along the mountainous coast. Allow Jax & Olivia to guide you through your practice in paradise. Incorporating Vinyasa, Hatha, and Yin styles of yoga, along with meditation, they’re on a mission to raise your vibration. Feel empowered, relaxed and rejuvenated during your time on the island and learn how to integrate these feelings of wellbeing into your daily life. This will be their third time co-hosting a Pa’lante Yoga retreat together. With complimentary Yin and Yang energies, they are a dynamic duo bringing balance to life. 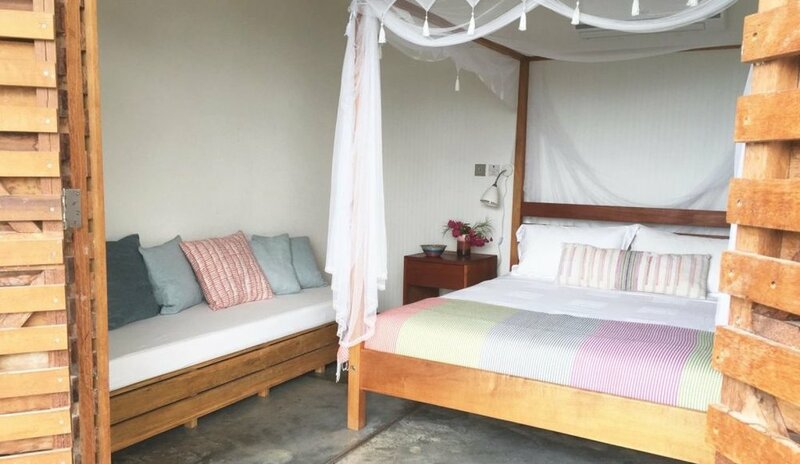 We’re on a mission to make epic yoga retreats both affordable and accessible. A second payment of $500 will be due by April 13, 2019. The remainder of your payment will be due by May 1, 2019. You can pay the full amount at any point before May 1st. *Only 3 spaces left. Payment non-refundable. *Transportation will be provided at 12:00 PM and 2:45 PM on Monday May, 13th from UVF airport. Our official check in time begins at 3PM. We will provide transportation upon checkout at 11am on Saturday, May 18th for our departure. The airport is approximately one hour away from our destination. If you decide to fly outside of these time frames, you will need to provide your own transportation to and from Cosmos. The Pa’lante Yoga staff will be arriving to the island early to prepare for your arrival. They are flying home on Jet Blue Flight #2882 @ 3:28 PM on May 18th.